Staff photo by TOM KING Nashua High School South football coach Scott Knight keeps the usual watchful eye on practice as he begins his 30th season coaching in the Panthers program. NASHUA – Turning 30 is never easy for a young adult, as it means for many a series of life changes. However, turning 30 not in age but in years coaching in the Nashua High School/Nashua High School South football program, the last 15 as the head coach, is a badge of honor. Knight is trying to wrap his head around the longevity, for certain.He began in the program under John Fagula in his one year interim reign back in 1989 and then spent five years under Bob Aylward, eight with Bill Hardy (all mainly as an offensive line coach) and has been either the unified high school or the South coach since 2003. He’s coached a lot of athletes – including his son, current University of New Hampshire standout quarterback Trevor Knight — and worked with a lot of people. Knight has always had or been part of a close-knit staff, and that’s the case this year. Coaching his son “was pretty cool”, Knight said. And he has such trust his staff to run the Saturday morning practices/film sessions while he hops a plane to go see Trevor compete when UNH is on the road. That good staff has allowed Knight to remain as the Panthers head coach. Knight says it’s a tough choice. 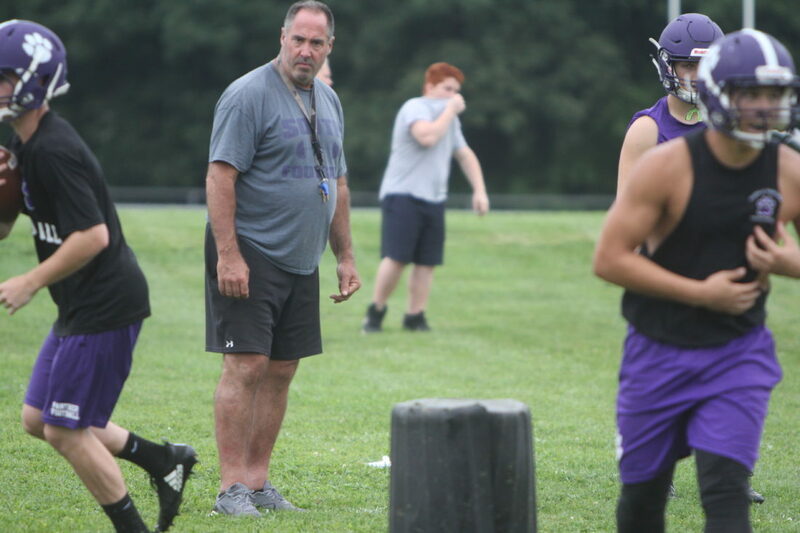 Ironically, years ago Knight, as an offensive line coach and running the unified Nashua program’s weight lifting program, didn’t appear interested in being a head coach. Could he have imagined all this? “I don’t know,” he said. “I don’t know if I would have said 16 years down the road. … Probably not. But it’s been fun. The final soccer coaching hires for this season, which begins for some teams on Friday, were made in recent days. It’s been quite a turnover for some schools as seven local teams have new head coaches. Bishop Guertin just two weeks ago hired former ConVal coach Valdemir “Rocky” Roque as its new boys coach. 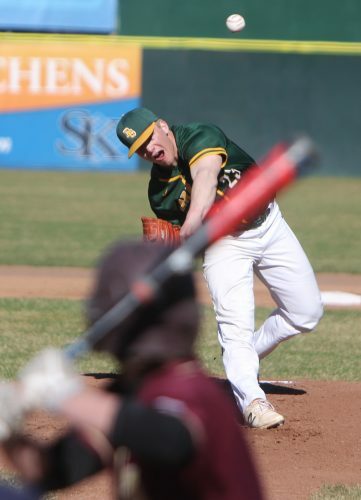 The Campbell boys finally settled on former college coach Aaron Miller, who is also being helped by his father Bill, a former college coach himself at Fitchburg State. 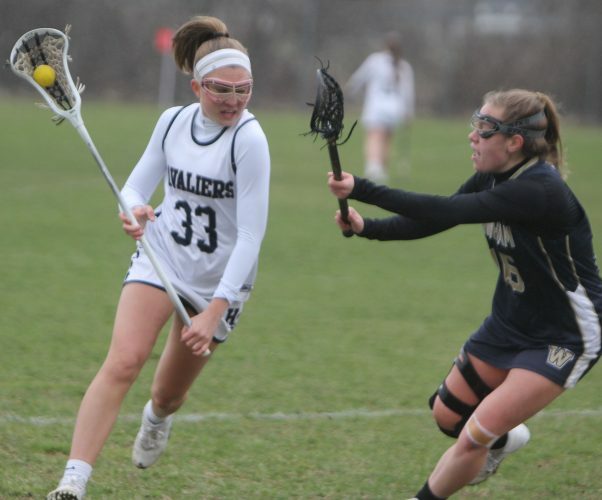 The Alvirne girls will now be coached by recent Plymouth State grad Adrianna Kippenberger, who is also a teacher at the school. Kippenberger was a defender for the Panthers just last fall, and now she’s a varsity head coach. “I’m excited,” she said, adding she never expected to get a varsity head job right out of college. “I love soccer, and I love teaching. I got the teaching job first, and when (Alvirne principal Steve Beals) called me to congratulate me on the teaching job he asked me to fill the soccer coaching job.” And then she was interviewed by Alvirne AD Karen Bonney. 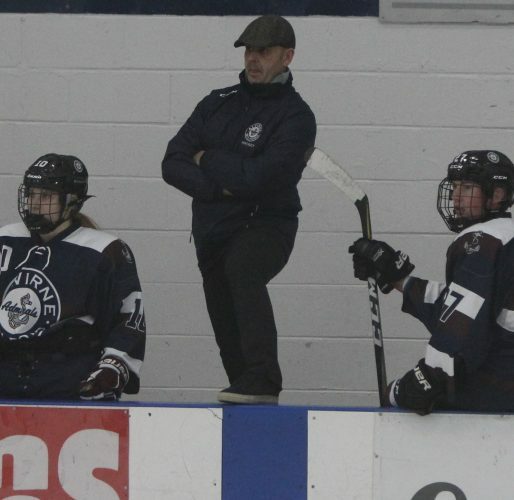 The other newbies: former Londonderry JV coach Kevin Brassard now coaching Campbell girls; as reported last week; Alvirne boys are headed by former Hollis JV coach Marcos Vieira Filho; the new Milford boys head coach is Frank Chase; and former Milford boys coach Dan Ayotte (he was not brought back after last season) has now taken over the Wilton-Lyndeborough girls team. Former longtime Warriors coach Bill Draper is now a JV coach at Milford. Perhaps the bigges tjob belongs to Roque at BG, because of a good turnout of 50-plus players. That’s a lot of kids to become familiar with in a very short period of time. That high number also leaves room for possibly three teams – varsity, JV and even a reserve team. “We’re still working on getting to know them and where they’re going to be,” Roque said. There will be a change in high school golf regular season matches for Souhegan, Hollis Brookline and Milford in Division II and Campbell in Division III. Coaches/schools were surveyed last year about making a switch to the Stableford scoring system, which awards one point for a bogey, two for par, three for birdie, four for eagle, etc. 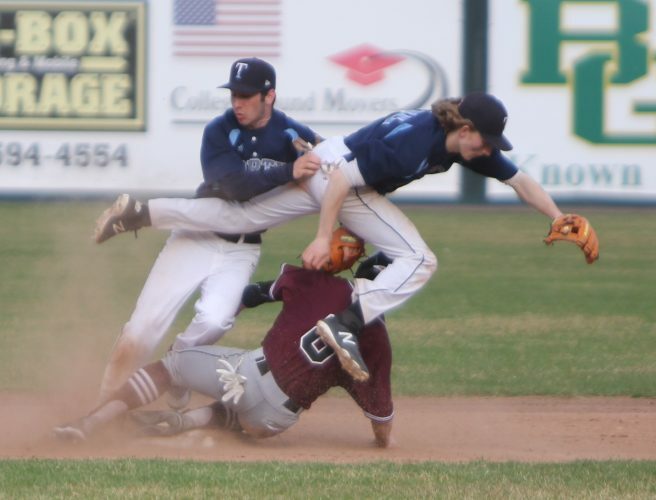 In Division III, seven players will be designated by the coaches; it will be as many as eight in Division II. The highest four point getters for a team in Divisions III and IV will be used for the team score, and the top five in Division II. In case you’re wondering, Division I will remain the same – medal play with the top five scores counting toward the team total. Some fall sports tourney venues are still being finalized by the NHIAA – for example, finals sites have yet to be determined for Divisions I and II girls soccer for Nov. 4 (semis at Stellos Stadium for II, at Exeter’s Bill Ball Stadium for I). Boys soccer is all set for all divisions on Nov. 3 for Southern New Hampshire University. Bedford High School remains the site for all three field hockey championship games on Sunday, Oct. 28. Divisions I and II volleyball will be decided at Pinkerton Academy on Saturday, Nov. 3 and Plymouth State gets Division III on Friday, Nov. 2. The second day of the boys individual tourney for all divisions is at Derryfield Country Club on Saturday, Oct.13. The NHIAA girls individual tourney will be on Saturday, Sept. 29 at Campbell’s Scottish Highlands.